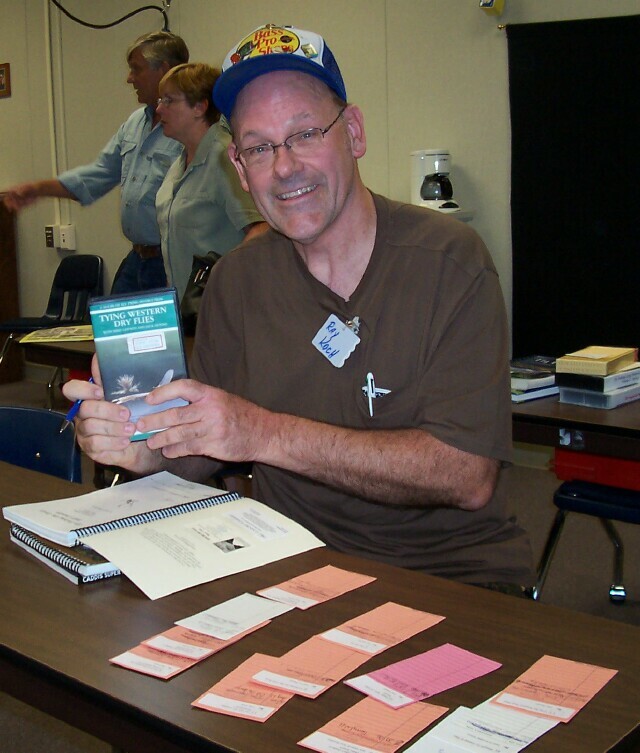 development of fly fishing and fly tying knowledge and skills. 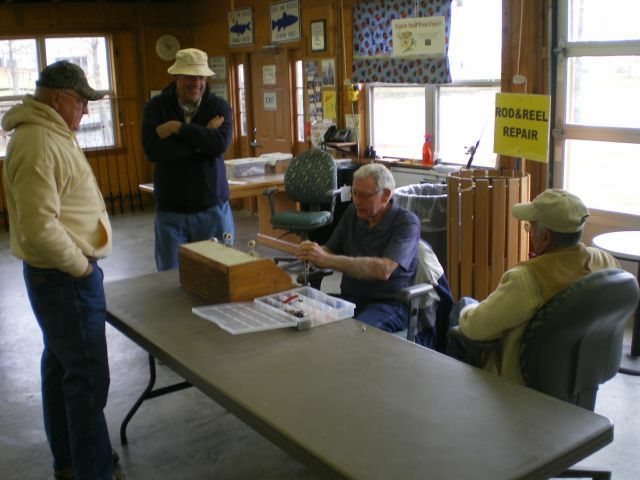 also an important focus of Lone Star Fly Fishers. 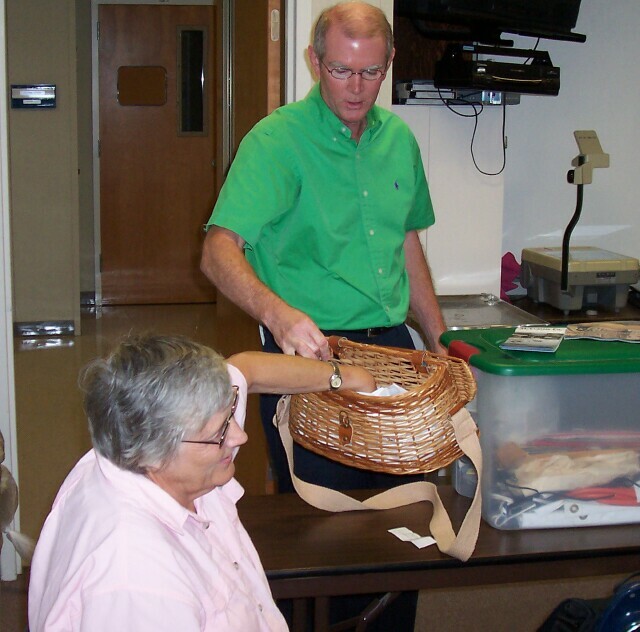 cordially invited to join us for our next meeting or outing. From the intersection of West Loop 323 @ Hwy. 31 go South on Loop 323 9/10 of a mile to Robertson St. Turn left onto Robertson St. & RTDC is immediately on the right & Rudy’s Bar-B-Que is immediately on the left. From the intersection of Southwest Loop 323 @ Hwy. 155 go North on Loop 323, 1.9 miles to Robertson St. Turn right onto Robertson St. & RTDC is immediately on the right & Rudy’s Bar-B-Que is immediately on the left. 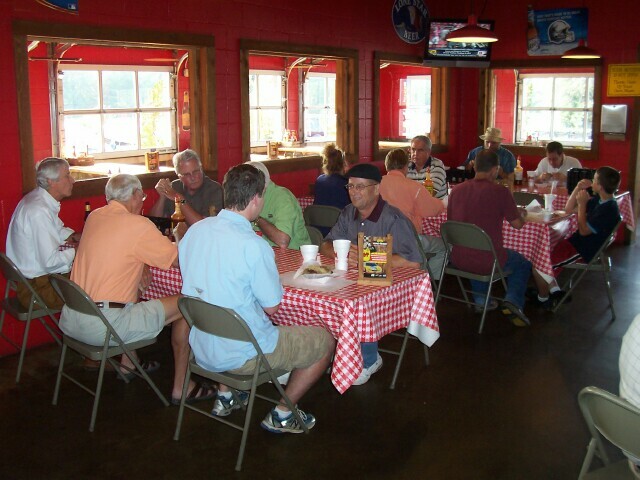 What to expect at our meetings Dinner at Rudy’s Bar-B-Que On the 3rd Tuesday of each Month before our Club Meeting we meet at Rudy’s across from RTDC at 5:30pm. 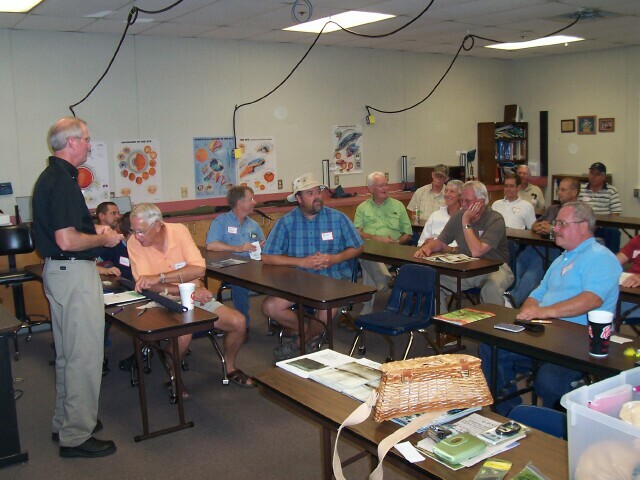 This is an excellent opportunity to meet our guest speaker & enjoy camaraderie with fellow fly anglers. 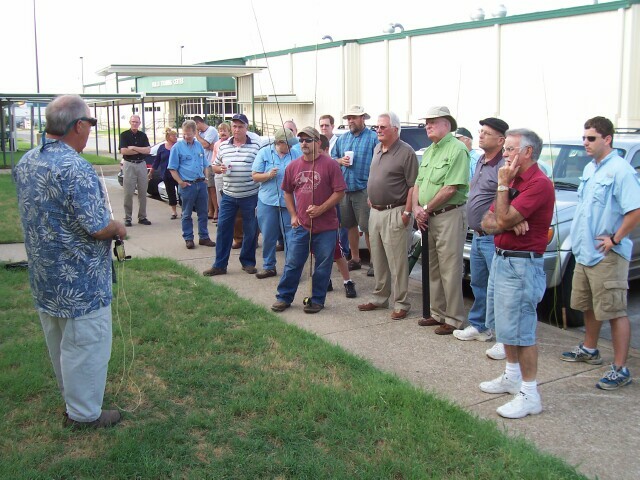 Casting Clinic & Fly Tyers Roundtable At 6:00pm we move across the street to RTDC where we tie flies for upcoming outings or work on fly casting techniques. If you need help with your casting or fly tying skills let us know in advance of the meeting & we’ll have someone there to work with you individually. LSFF Library Our library is available to our members before & after our meetings. You can preview our books, tapes & DVD’s on the Library page of this website. 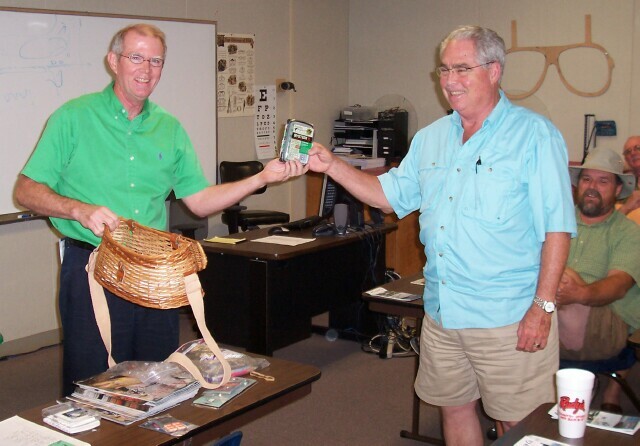 Drawing for Door Prizes At the conclusion of each meeting we draw for door prizes which may consist of anything from fly tying material to fly rods & reels to fly fishing trips. How To Join Joining our club is easy. 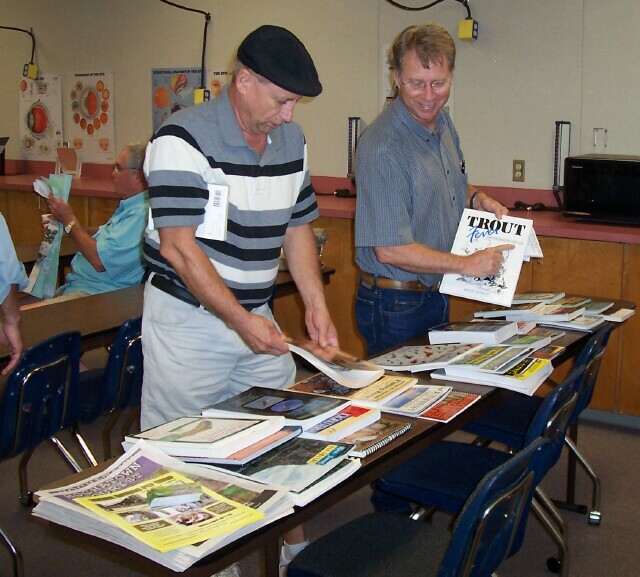 Simply attend a meeting or outing to see if what we offer is what you are looking for in a fly fishing club. You can also contact us if you need additional information. If mailing dues, please print and send the Membership Application. Thanks.